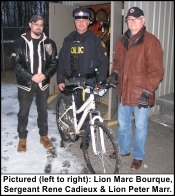 The Ontario Provincial Police Russell County Detachment provided the Russell Lions Club with several unclaimed bicycles that they have been holding in their garage in Embrun for several months. The Lions thank the OPP for their sense of Christmas & Community Spirit by providing the bikes to the Club. We will put these bikes to good use as we will disperse them to some lucky kids in our community. 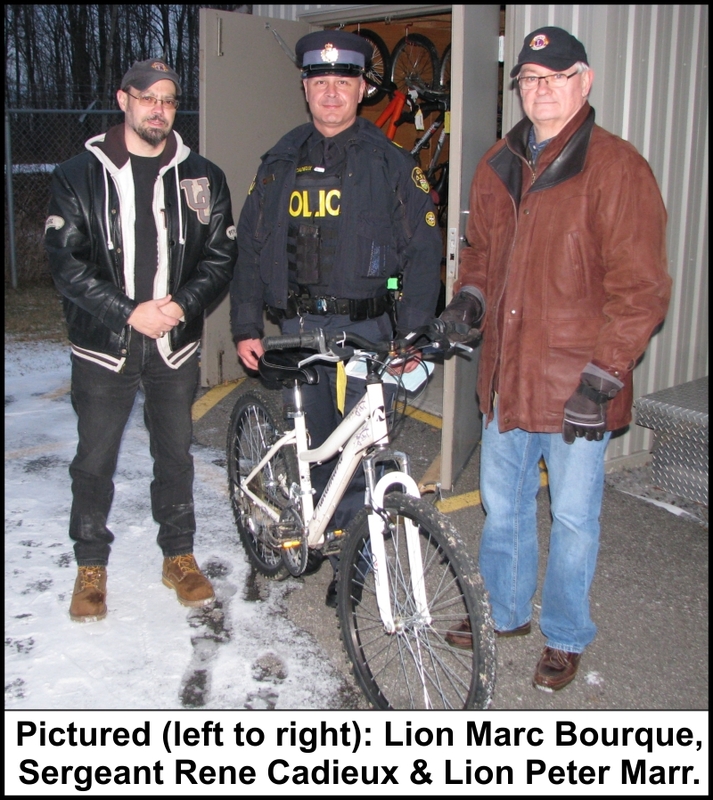 Pictured above is Sergeant Rene Cadieux (centre) of the OPP handing over one of the bikes to Lions Marc Bouque (left) and Peter Marr (right). If you know of child in need of a bicycle contact Lion Peter Marr at 613 445 5223 to see if the Lions can be of assistance. Russell Lions Club. We put Russell first.